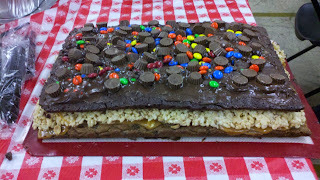 Having reached the 50th birthday milestone, I decided to throw a big party. 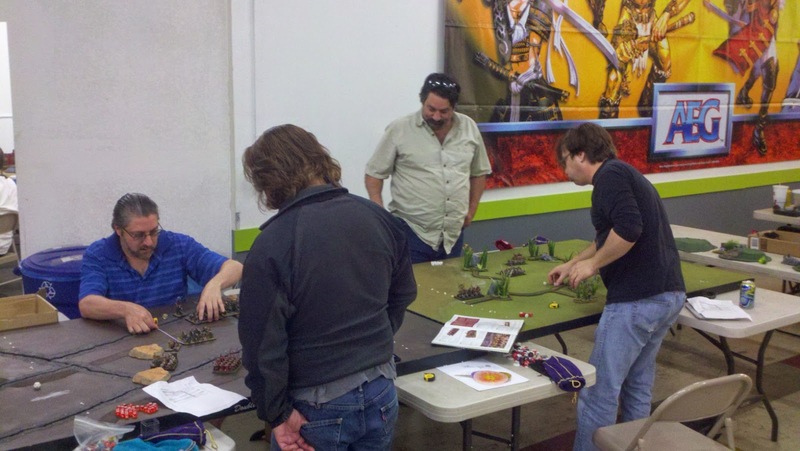 So I hosted a Kings of War 500 pt tournament for my friends at a local game store. 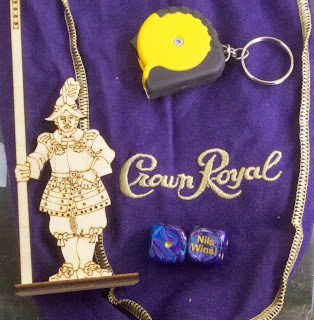 I also put together party gift bags for the attendees. 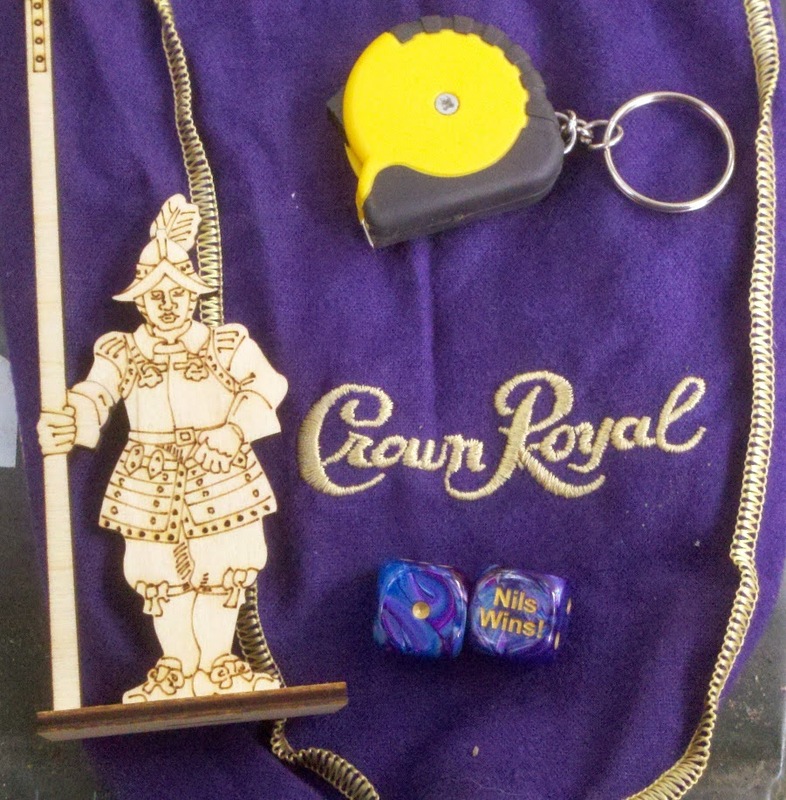 It contained custom dice to ensure that I'd win all the games, a tape measure, a fresh-off the laser cutter exclusive Wooden Wars English Civil War Pikeman, all together in the classic dice bag. Here is one of the Pikemen painted by the Creator & Lasenator himself, Tom Foss. In preparation for the party, I finished off a few projects: 2 GW trees, and a laser cut Christmas decoration from Cost Plus. I also wanted to come up with a something new to run in the since I'd only played Kings of War with my Vik-orcs (Vikings figures using the Orc army list). 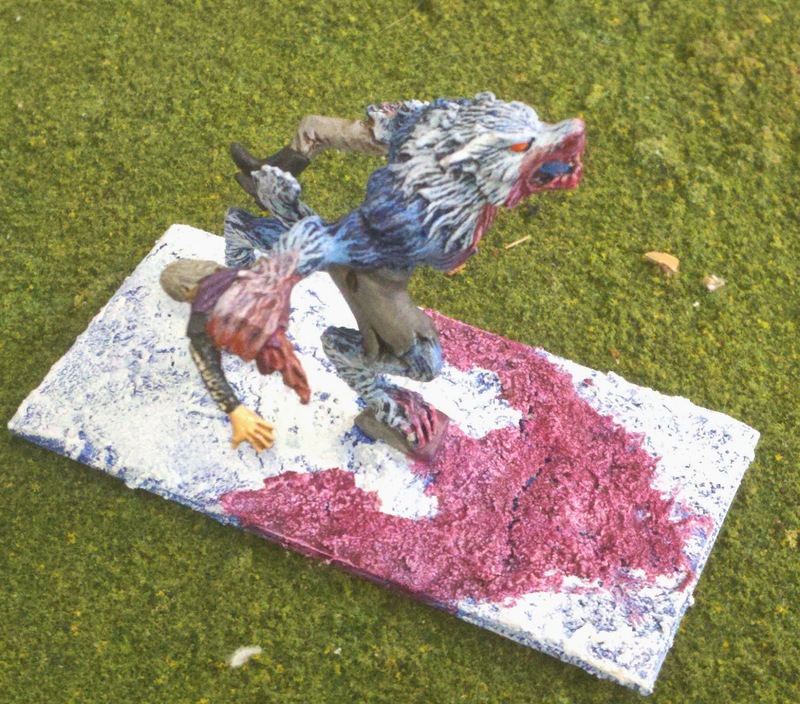 So I quickly painted up an all Werewolf force from the KoW Undead list. I had been collecting werewolves for a while to go with my fantasy Viking army. They would have been stand-ins for Trolls in the GW Beastman list. For KoW, I ran 3 units of 3 werewolf figures each (the smaller werewolves were bunched together to represent 3 full sized werewolves). Unfortunately, as nasty as they werewolves are, units of 3 figures still have a relatively low morale. So while they could run circles around the enemy & tear them up pretty well, once the enemy got in contact & started to do damage, the werewolves broke surprisingly fast. 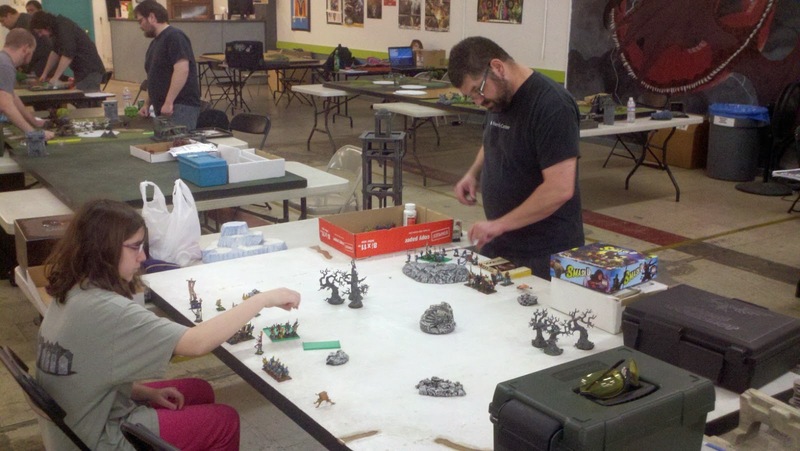 The tournament was a big success. There were 14 players, from ages 10 to 62, & all had a great time. 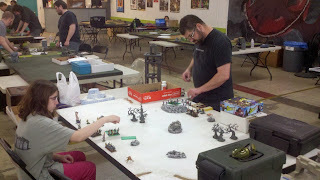 We had 6 different tables running at any one time, and the small army size meant we were able to get about 4 games in each during the 5 hours allotted. 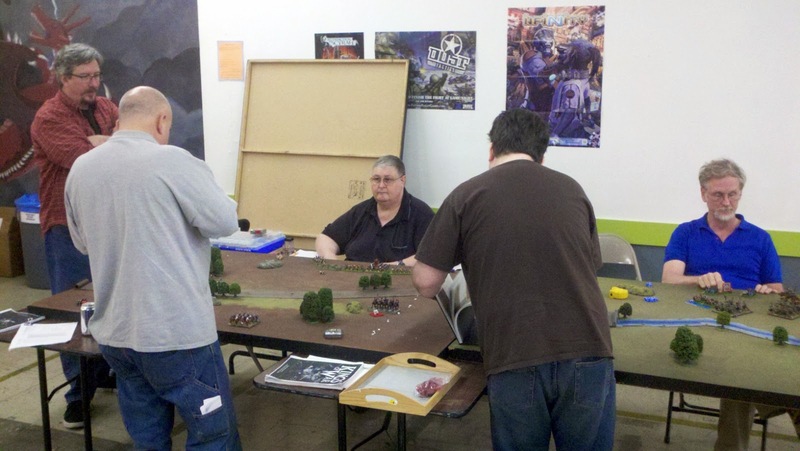 A couple of people who hadn't played the game before are now converts & want to play in our upcoming KoW campaign. 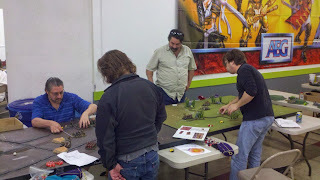 & it seems like the game was so balanced, there was no definitive winner, but a 4-way tie with 3 wins each. & everyone one at least one game. 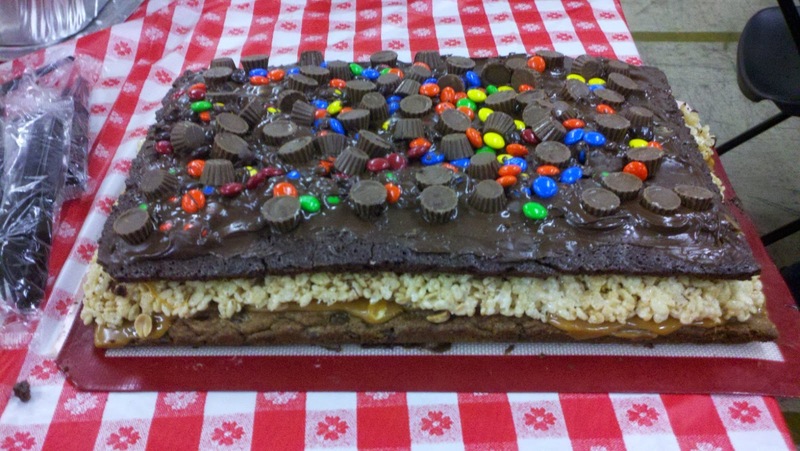 It consisted of a layer of pan chocolate chip cookies, caramel with peanuts, rice crispy treats, & brownies, topped with melted chocolate, M&Ms & Reese's peanut butter cups. Insulin shots were available at an extra $20 charge.